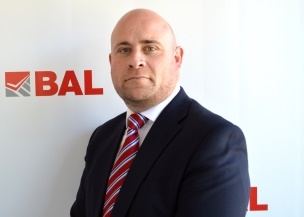 Building Adhesives Ltd, the market-leading manufacturer of tile adhesives, grouts, sealants and ancillary products, has appointed Matthew Leaver as their new national Business Development Manager, strengthening the company specification support. Matthew’s role includes working with architects, designers and specifiers to support them on M40/M20 specifications, deliver project support and provide RIBA-accredited CPDs. He said: “I am delighted to join the market-leader in tile adhesives in what is an exciting time in the industry, particularly the launch of the NBS National BIM Library where BAL became one of the first tile adhesive manufacturers to sign up. Matthew has more than 14 years’ experience in architecture and design specification working for tile manufacturers and distributors including Porcelanosa, CTD/Worlds End Tiles, Domus and H&R Johnsons. He has worked with architects and interior designers including Fosters, Gensler, BDP, Johnson Naylor and Zaha Hadid on projects including The Heron Tower, Helter Skelter and the Deutsche Bank HQ in London. BAL Head of Marketing, Alex Underwood, said: “With more than 50 years of technical innovation and know-how behind us, we are relied upon by professionals for product quality and outstanding technical support throughout all stages of a project from design to completion.